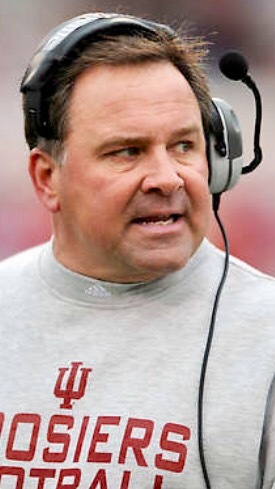 Head Football coach of Indiana Kevin Wilson was just dismissed from the program. Multiple reports are coming in that officials met with players to discuss “mistreatment” of players. Unfortunate development for the IU program as they seemed to be turning a corner and becoming more competitive in the Big Ten. As more details come in, things seemed to be pretty awful as a player was mistreated by being forced to practice immediately after a concussion and he was never the same. Spitting on players jerseys and ripping off helmets in practice. Indiana will hold a press conference at 6. Wilson seems like a perfect hire for Baylor in my opinion.